The surgery has now reopened. Thank you for your understanding and we apologize for any inconvenience caused to patients. Due to an emergency at Britannia Village Hall, we have had to close the surgery (Britannia Village Surgery) to protect the safety of our patients and staff. The London Fire Brigade is responding to the emergency, and we will continue to remain closed until they advise us that it is safe to return to the premises. In the meanwhile, if you require urgent care, Albert Road Surgery will provide as much continuity of service as possible to our patients who usually visit Britannia Village Surgery. Please call us on 020 8104 2222, and thank you for your understanding whilst we work as quickly as possible to help you. If you need urgent medical help or advice that cannot wait, please call 111. If you have a medical emergency which may be life-threatening, please call 999. If you require out of hours care or advice, find out what you can do when we are closed. Albert Road and Britannia Village Surgeries will be hosting a Carers Event at Albert Road Practice on Tuesday 5 September 2017 between 1.00pm and 3.00pm. All local residents are welcome to attend. Please see poster below. The event aims to raise awareness about Carers and allow Carers and those they care for to experience a number of local health and social care service providers accessible through the surgery for our patients as well as other residents of Newham. Visitors will also have the opportunity to meet members of practice staff, talk to local Carer’s Services and will be treated to FREE mini health checks and refreshments. The services due to attend are AGE UK Newham, who offer support to older people living in Newham, and Newham Carers who provide advice and support to the unpaid carers of Newham. Contact us on 020 8104 2222 for any queries or requirements. On Monday 31st August 2017 at 6:30pm we will be holding a Patient Participation Group meeting – all patients are welcome and encouraged to attend. 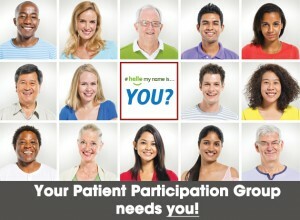 Our Patient Participation Group (PPG) is designed to develop a partnership with patients, to discover what a range of patients think about services and to establish their priorities and to provide a platform to test and modify ideas and plans. Our PPG is encouraged to be patient-led. We welcome all of our registered patients to be members of our PPG, to help shape the care we deliver and to help us gather feedback, experiences and opinions, as well as to encourage health promotion and self care to our patient population. Visit our PPG Page to learn more. You do not need to register to attend this meeting, though our PPG meetings are open to Albert Road and Britannia Village Surgeries registered patients only. Please speak to our Practice Manager if you have any queries, concerns or special requirements. Please note that our services have resumed with some continued disruption to our NHS email which may impact patient referrals in and out of our service, however we expect this to return to normal by early next week. Dear Patients, NHS England has advised us to shutdown our PCs and telephones in response to a major cyber attack on NHS services across the UK. This has resulted in serious disruption to our service. If you have urgent medical needs that cannot wait till the issue is resolved, please call 111. If you have a medical emergency, please call 999 or visit your nearest A&E. We will update further when we know more and thank you for your patience. Starts Friday 6 May till Friday 29 July 2016. Albert Road and Britannia Village Surgery patients are invited to join in our new initiative in partnership with activeNewham: the Health Active Programme, designed to provide patients over 65 and those with Long Term Conditions with FREE access to exercise and social activities. We recognise the great need to reach out to patients with services that can assist in intervention and prevention of ill-health, and following on from our recent Open Day and PPG meeting at Albert Road Surgery, we are responding to the requests of patients to provide convenient access to community services. The Health Active Programme is the only GP based project that is part of “Get Moving“, a project led by the Mayor of London’s office (Greater London Authority) which aims to champion fresh approaches to physical, creative and social activity for Londoners in later life, and will be delivered between 6th May 2016 and 29th July 2016. Albert and Britannia Surgery has 8,000+ registered patients, of whom more than 370 are over 65 years old, several are housebound patients and over 1,700 patients suffer Long Term Conditions, obesity or are carers. These populations are the focus of our programme, as we recognise the particular risks around health outcomes that lack of physical and social activity result in. The project utilises space within Albert Road Surgery to form a community hub, with a range of events, including exercise, stretching and mobility, light circuit and aerobic style classes, some of which may be chair based if necessary. Motivational interviewing techniques will be used to recruit and maintain participation. The hub will also form a base for health engagement sessions. 150 minutes of exercise per week will be available, and 109 sessions over the programme. Adopting both seated and standing exercise programmes will improve inclusiveness of attendees, and provide a mixture of strength building and cardiovascular exercise. The exercise programmes and session routine will be designed and delivered by the expert team at activeNewham. AT Medics will be providing the space at Albert Road Surgery, raising awareness and prescribing exercise, whilst delivering NHS Healthchecks and NHS Livewell factsheets to attendees.